Today is the final day in our series concentrating on how warehouses can be used to add value to your business. The following three methods are perfect for the fast processing of goods. When using a distribution centre it is possible to combine items across the entire product line. The customers are able to select what products are placed in their order and the complete line of products sold can be stored and managed from one location; reducing the need for multiple storage options and complicated logistics. The products are housed close the customers and can be distributed using a decentralised system. Crossdocking takes away the need for double handling goods. Vans pull up to the warehouse, are emptied of their products and refilled with new items that will be distributed. This option reduces problems with inventory storage and provides a total flow through system. It needs automated materials handling equipment and systems that allow floor ready pallets to be picked and packed for specific stores. Flow through, a similar process to crossdocking, is perfect for fast moving operations. The warehouse is used to store low amounts of products, such as day to day or week to week. The goods arrive and are measured and processed quickly. This provides options to add value and work through the processes such as storing for a couple of days, adding value, picking and processing. Royale International provides flexible warehouse distribution services for our customers; contact our team to find out more. 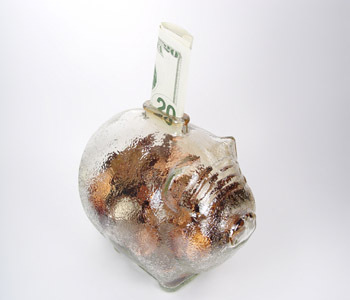 The last thing any business wants is to spend money to store products that remain still for long periods of time. There are ways that warehouses can be used to help speed up the processing of orders and to add value to products increasing profit margins. Using the hub and spoke concept it is possible to reduce the cost of freight forwarding by using this method to ship large volumes of shipments. It can be used effectively by companies distributing goods to consumers or to the industrial markets. Truckloads can be stored in the hub where it will be turned into smaller loads for distribution and down-streamed on a daily basis. This solution works best for fast moving products and can also act as a storage solution for slower moving goods. 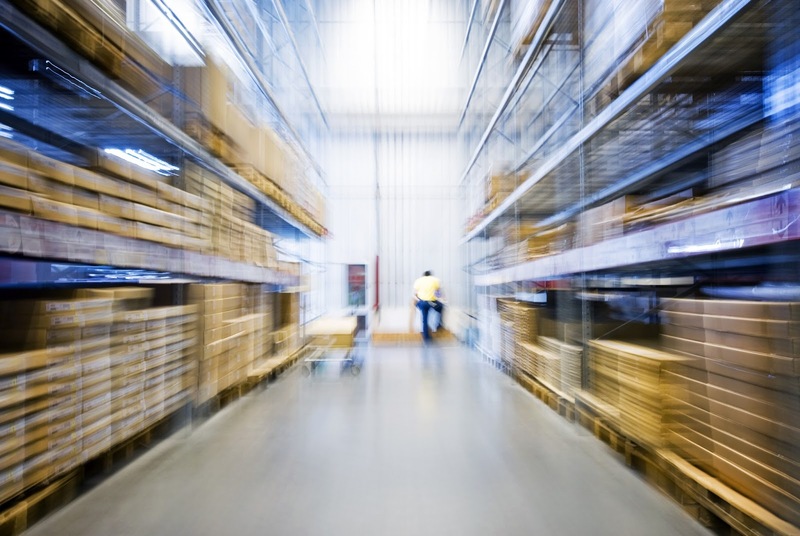 A warehouse can be the point where value adding actions take place. The items are stored in a central location where they are transformed using methods such as light assembly, labelling and customised packing and kitting. This can increase the value of the products and relies upon a managed inventory system. Warehouses add value for companies who ship frequently to their customers, sending small orders that require order selection. The goods are stored in the warehouse and picked before being packaged and sent to the customer. The option also allows for value adding opportunities such as labelling and packaging and kitting. In the final part of the series we shall be focusing on: Crossdocking, Flow Through and Mixing Products. The need for simple storage solutions remain a problem area for businesses and retailers, but do warehouses really add value? How can you make the most out of the expense of renting warehouse space and what method would work best for you? There are nine types of warehousing, we shall be covering three types over the next three days. A warehouse can be used to provide a solution for problems with overflow. This is an excellent method of storing large numbers of stock over seasonal periods of extra sales or as a long term option to help buffer the supply and demand balance. You can store parts to prevent down time and keep a huge inventory of supplies to help support day to day operations. A warehouse is the place to store goods during their final step – waiting for an order to come in from a customer. You can use this space to customise goods, making the finishing touches to products that practically completed. This provides a way to reduce the generic form of inventory and works best for standard product manufacturing. A warehouse is often used to store goods in large quantities before they are shipped to the final destination. The costs of the warehouse can be easily justified thanks to the savings that are made in the cost of shipping. Larger volume shipments mean great savings and fewer shipping payments due to less frequent trips needed to transport products in low volumes. You can store finished goods that are sourced from multiple locations and send them out together from one central warehouse. Tomorrow we shall be looking at the next three types including: Hub and Spoke Distribution, Transforming Products and Assembly orders. Most thriving company that stays ahead of their competition usually have a successful logistics operation that follow a logistic process that has been specifically tailored to meet their customer’s needs. 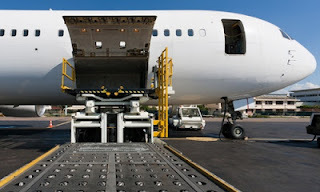 So how can they ensure that their business logistics are running smoothly and cost-effectively? Although business varies, let’s look at some interesting ideas from Stephen Errey that might help your business performance. How your customer’s view your business is an important factor in any business. The amount of time between ordering and receiving their goods is vital in their opinion of how your business operates so manage your lead-time efficiently and focus on the all the departments involved in the order fulfillment process (eg: sales order process, credit control, stock control, production, warehouse, transportation) and learn to look at business from their point of view. Offer your customers different level of service that suits your customer’s transport need, it may help your business avoid unnecessary cost and missing key revenue opportunities. Managing and planning is an essential part of the whole logistic process. Sometime having too much stock can be worse than having too little so learn to understand your customer and their buying behavior. Design an order fulfillment that matches the demand of your customers, you will find a quicker and more responsive supply chain with less stock clogging up. In order to turn what your supplier sends you into a finished product, “picking “is a common process that most logistics operations will become involved with when the product moves from one stage of the supply chain to the next. Pick according to what your customer wants and reduce the number of pick by making the “real pick” to avoid the supply chain knock-on effect (cost, time and error). 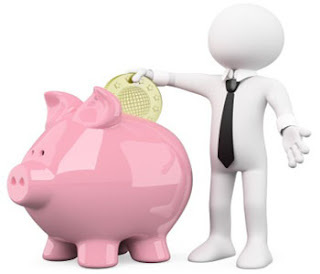 • Are there ways of cutting out large costs or whole activities? • Can we move up our service levels? • Can we optimise activities such as dispatching our products straight to our customer instead of sending it to intermediate warehouse or distributors? • Can we tighten up the department so we do not need to spend a lot of time checking and correcting silly mistakes on a daily basis? • Can we pick directly to the delivery box instead of separating one container before packing? The Royale International Group wishes you all Happy Holidays!! Tomorrow will be one of the most exciting festivals in the year, make sure you spend time with your families and friend to celebrate this Christmas day. The Royale International Group is happy in assisting our customers during this busy season. We would like to thank you for all your support this past year and wish you all a very Merry Christmas 2012! Should you have any last minute or urgent deliveries, please contact us. We are open 24/7/365 and will continue to serve our customers on Christmas day. The Star Of Bethlehem that help lead the Wisemen to Jesus is thought to be a comet or the planet Uranus by astronomers. Uranus has 27 moons with summer that last 42 years and is the seventh planet from the Sun. 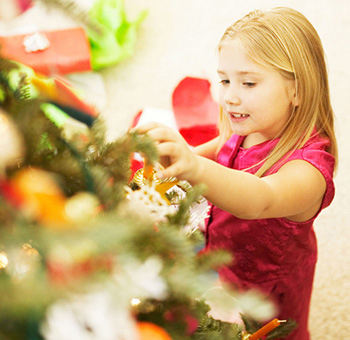 Did you know that hanging presents on trees may have come from the Druids who believed the tree was the giver of all good things. 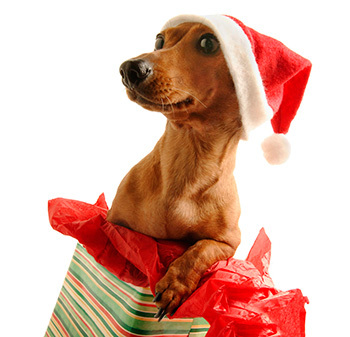 Gift-giving might be a tradition that was passed down from a very long time ago—before Christmas even existed—when the people who lived in what’s now Italy (Ancient Romans) gave gifts during winter but the tradition for giving gift did not become popular until the end of the middle age and beginning of the modern era. Today, we give gifts at Christmas for our own reasons. For some, it is a way to celebrate the Christian holy day while for others, it is a special occasion to let family and friends know that you care. The traditional English Christmas meal consists of a pig's head and mustard and the Christmas pudding was a soup made with raisins and wine. 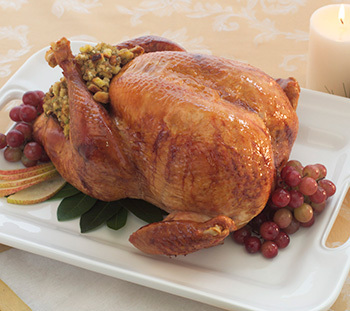 Today, friends and families celebrate Christmas dinner with all kinds of foods and wines. 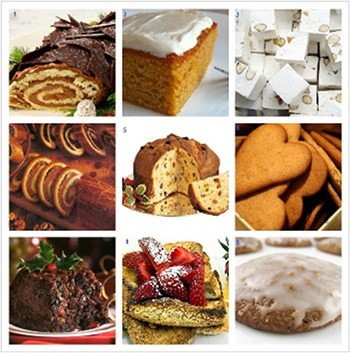 These include traditional cakes and cookies, turkey and stuffing, gingerbread, sugar canes and eggnog. Did you know that the best selling Christmas single is Bing Crosby's “White Christmas” with over 50 million worldwide copies. 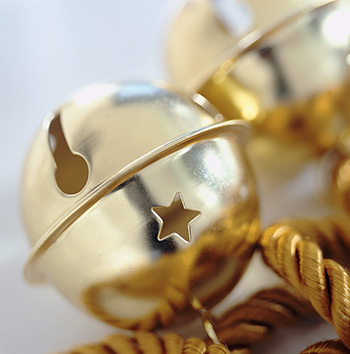 "Jingle Bells" is one of the best-known and commonly sung winter songs in the world. The famous Christmas carol "Jingle Bells" written by James Pierpont in 1857 was initially written for Thanksgiving and at the time of production was called "One Horse Open Sleigh". The Gemini 6 also played this song live during their 1965 expedition in space. Describe a time or situation in which you have provided value-added service to our customers, colleagues, department, etc? I like meeting new people, and some of my best friends are actually previous clients - I have very good relationships with them. I think my job provides a very good opportunity to meet more people and make more friends so I enjoy doing it. I like bringing people together. I also like to have more than just a working relationship with colleagues, we treat each other as good friends. Whenever and whatever they need help with, I'm happy to assist. I like to share breakfast with them before work and sometimes we have tea together. We're just like a family. I have lots of hobbies and I'm full of curiosity for activities I haven't tried yet. I like to try any activities - Sometimes I go climbing, biking, driving, swimming, shopping and so on (of course it's easier to do all of these things when I've just been paid). I've realised that with all of these hobbies I have less and less time for other pursuits but I feel as though I live a colorful life. Thanks to my job I'm now in the habit of checking my emails and messages any time, no matter what I'm doing - having lunch, out walking or even before bed, I still check whether there are any urgent deliveries that need my attention. In Summer the weather is so hot I always overheat. What’s worse, it ruins my make-up - especially after a long distant visit. I have to be careful of thieves on the bus. The buses are crowded and if I lost my mobile phone or wallet you can imagine how bad it would be if I were far from home at the time. Sometimes when you're out walking and talking on the phone there are a few rude drivers who blast their horn suddenly when you're crossing the road, that is quite scary and shocks me when it happens. I have been asked on a date by clients before, which can be awkward. You have to find a reason to put them off and I find the best excuse is that I’m already in relationship, it’s very useful. "Yes, I’m crazy, because I believe that nothing is impossible to a willing heart"
I have been working at Royale for about 5 years and I can still remember getting my account manager position in the Time Critical department. I had just graduated from college and knew nothing about express deliveries at the time, so I really appreciate the opportunity that Royale gave me. I enjoy working here. Within 5 years I have not only learned about international logistics, I have learned how to be a good salesperson and how to be a trustworthy friend to our clients. I chose a sales position because of my personality - I like to talk to different people and learn from them. Salespeople have to face many different types of customer, each one of them has their own characteristics and it's important to know how to deal with different personalities in order to be successful. I'm always cheerful when I make lots of sales and I think we provide an extremely necessary service in the current market. Of course, sometimes we don't make as many sales as we would want but it's a constant learning process, reviewing the way we approach our job and trying to improve our own skills. As we were taught - when you sell your service or products, you are also selling yourself as a person. I will remember this all my life. The most important thing is that people here are just like a family. Everyone gives you their help whenever you need it. We trust each other, help each other, share experiences, make progress together and this is all comes from a long tradition of the Royale culture. 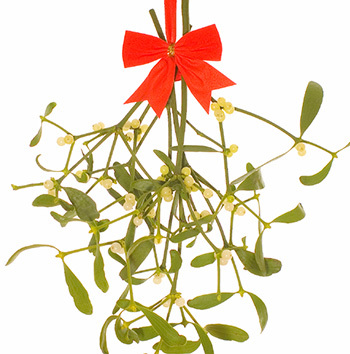 European folklore believed that mistletoe held special powers. Kissing under the mistletoe comes from Norse mythology - The Norse goddess Frigga declared that mistletoe is a sacred plant that symbolizes love; thus leading to the tradition of kissing under the mistletoe. Nowadays, it has become a tradition that when a man and a woman meet under mistletoe, they kiss each other as a sign of friendship and goodwill. The traditional Christmas icon Santa Claus originated from Dutch folk tales of Saint Nicholas (Sinterklaas), who gave gifts on December 6 instead of December 25. Another Dutch custom is to hang stockings with the belief that if you leave a shoe packed with food for Saint Nicholas’ donkey, a small gift will be left in return. Carols began as an old English custom called wassailing to toast neighbors to a long life. Carols were not sung in churches until they were introduced by St Francis of Assisi in the 13th century. 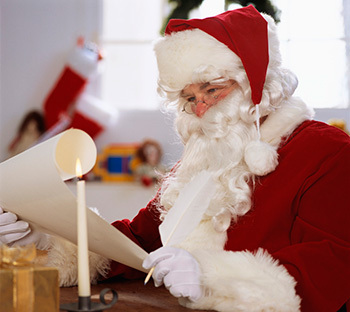 Nowadays, Christmas carols can be heard everywhere and not just on the streets or churches during Christmas. 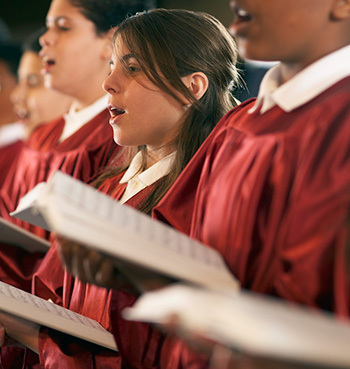 It is no longer limited to religious carols but in different music variations across the globe. Have you ever wondered why people put socks on their fire place during Christmas? In the 12th century, French nuns would put stocking full of fruit, nuts and tangerines and leave it at the house of the poor. 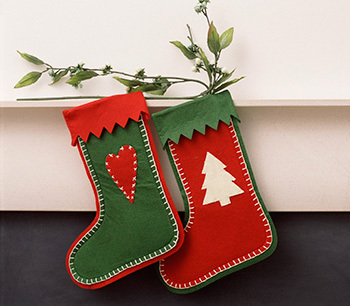 Today Christmas tradition, parents still prepare an empty sock or sock-shaped bag for their children and hang it at home on Christmas Eve so that Santa Claus can fill it with small toys, candy, fruit, coins or gifts when he arrives during night but those who behave badly during the year will only receive a piece of coal. In 1938, Rudolph the red-nosed reindeer was created as a part of a Christmas promotion in the US. 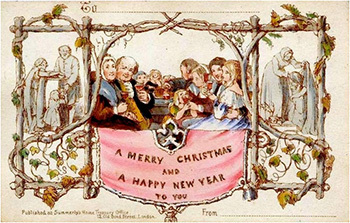 The first commercial Christmas cards featuring a family drinking wine with greetings of "A Merry Christmas and a Happy New Year to You" were commissioned a long time before the reindeer in 1843 by a civil servant named Sir Henry Cole in London. The development of Internet and the promotion of a greener environment have revolutionised Christmas card. "E-cards" are now the popular choice to help reduce wastage and replace greeting cards made out of papers and/or other traditional materials. 5) The new space race. The Twelve Days of Christmas are the festive days beginning on Christmas Day (Dec 25) also known as Christmastide and Twelve tide. According to Christian traditions, the Twelfth Night of Christmas is on the evening of Jan 5 but the Twelfth Day can either precede or follow the Twelfth Night. In the old days, many European countries believed in the superstition that both good and evil spirits become active during the Twelve Days of Christmas which later became known as the Santa’s elves. 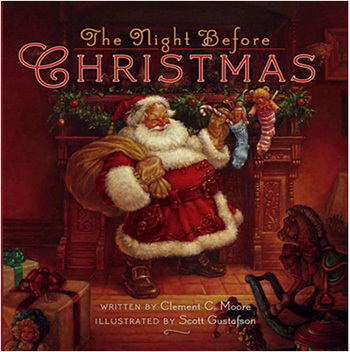 The influence of Clement C. Moore’s The Night Before Christmas illustrated by Thomas Nast also made Christmas stories what we know today. We add value every day – whether it is keep factories running with critical parts or moving life saving drugs from manufacturers to hospitals around the world, we add value in everything we do. Cycling and watching my children grow up. 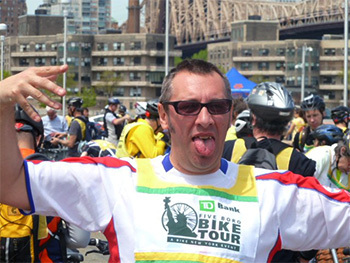 Active in Transportation Alternatives – our business leaves a considerable carbon footprint, so we can all give something back on a day to day basis. People who are only willing to look at things one way and not consider alternatives. Working for a company that continues to grow and that every day presents new challenges. 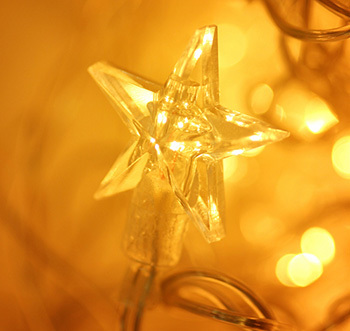 Traditionally in celebration of Christmas, people usually find a pine or fir tree and decorated with an angel or star at the top to signify the angels or Star of Bethlehem that is associated with the celebration of Christmas. The first reference of a printed Christmas tree was in Germany in1531. Christmas Eve is usually the evening/day proceeding Christmas Day, the widely celebrated annual festival commemorating the birth of Jesus Christ. Christmas Eve in Germany also known as Heiligabend, it is believed to be a magical time where the pure heart can hear animals talking. This year, the Royale International’s sponsored football league (Legal League) is helping raise funds for the charity organization called the Hong Kong Dog Rescue. 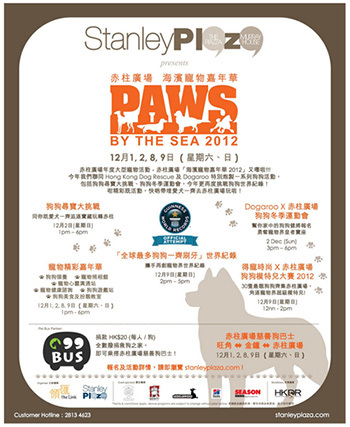 If you are a dog lover in Hong Kong, we sincerely invite you to the Carnival "Paws by the Sea 2012" held in Murray House, Stanley on 8th & 9th December ( Sat & Sun) from 12pm-6pm. So bring your canine friend on Dec. 9th, 2012 and help break the Guinness record of having the most dog brushing teeth together. 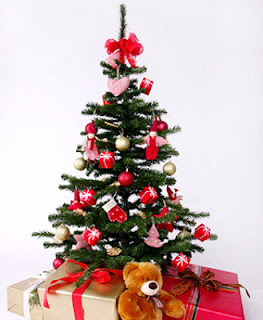 20 days more to Christmas... are you ready for this hoilday seasons? With our global network and understanding, here are some exotic ideas while you are planning your Christmas feast. Movember asks men across the world to grow a moustache in the month of November with the aim of raising vital funds and awareness for men’s health issues. 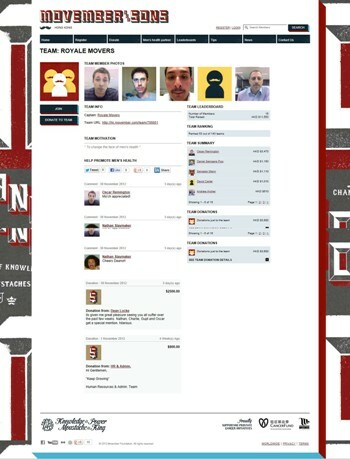 Our team "ROYALE MOVERS" have successfully raised HK$11,550 for the global charity events. Thanks for all the hard work!